Babies, babies ~ lots of babies being born. 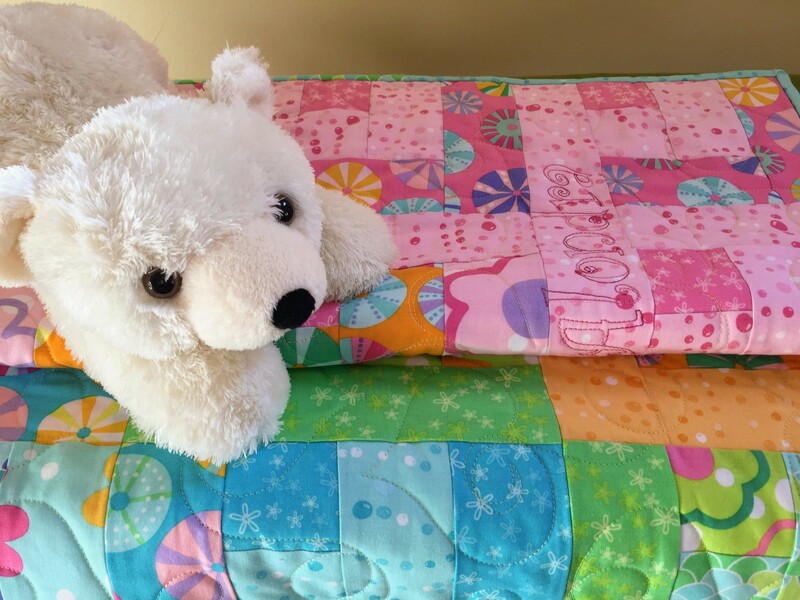 So I decided to gift a baby quilt and purchased a baby girl quilt kit called Lily & Loom Candy Splash from the Craftsy website. The quilt was quite easy to make and came out very pretty. Since the mother’s favorite colors are pink and purple I decided to make the back of the quilt pink and have it quilted with hearts ~ because it I made with love. Awwww … special. It came out quite cute, wouldn’t you say?